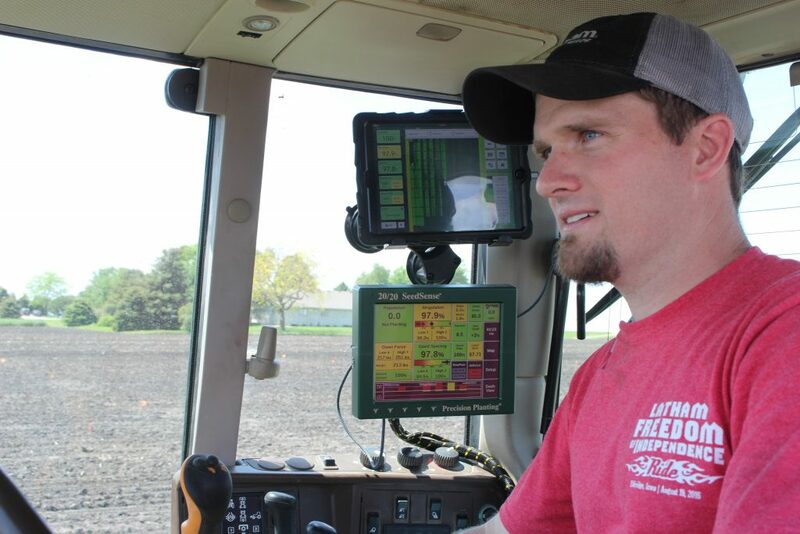 Most U.S. farmers use some form of precision ag technology, and the majority of these farmers are looking for ways to use their data more efficiently. Organizing data and offering suggestions on how farmers can increase yield on a field-by-field basis is where Seed-2-Soil® services comes into play. Technology in the tractor is one part of precision ag data that is recorded by the combine, planter or sprayer monitor requires another level of understanding. Here at Latham Hi-Tech Seeds, we’re working to help farmers find the intersection between crop production and precision ag. We believe this technology is a huge stepping stone in terms of efficiency and reaching that next level of production on your fields. Understanding the variability on each of your farms is Step One. Our FieldXField process focuses on placing hybrids/varieties according to yield-limiting factors combined with data from your yield monitor. We can define smaller “management or productivity zones” that will allow you to put Variable Rate (VR) technology to use on your farm. Combining data such as soil samples, satellite or drone imagery, disease and insect scouting reports, and planter and sprayer applications gives you a much clearer picture of each field. Armed with this additional data, you can monitor and manage that field throughout the season. There are many ways to incorporate precision ag technology on your farm. While not everyone will have every technology, using a few tools provides valuable information. For example, variable rate (VR) hybrid planting can provide a $20/acre benefit. We’re testing this technology on a farm in Northwest Iowa and are eager to see the results this fall. Although most farmers don’t yet have the capability for VR hybrid planting, many have the ability to apply VR fertilizers. Studies show a $5-8/acre benefit from decreasing over application and under application to areas within a field. If your fields have a large amount of variability, you may reap even more revenue from VR technologies. Variable rate seeding and applications are just one piece of the precision ag pie. We can work with you to make your data work for you and your operation. It’s our goal to work with farmers and add value regardless of where they are along the technology adoption spectrum. One simple, but especially important detail, is naming your fields consistently from year to year. Also make sure your monitors and GPS receivers are communicating with one other. You may see a yield number on your monitor, but that doesn’t mean the GPS location and other information is running through your combine. The data coming out is only as good as the information going in! Calibration is key to getting useful results. I’m looking forward to working with Latham dealers and customers to help bring more value from the combined use of seed and precision ag technologies. Feel free to contact me at 1.877.GO.LATHAM (1.877.465.2842) if you’d like to visit about how precision ag can benefit your operation!